Let’s have a look back to see why broadcasters came to such a decision and to discover which famous video clips included (subliminal?) ads for cool gadgets and products. 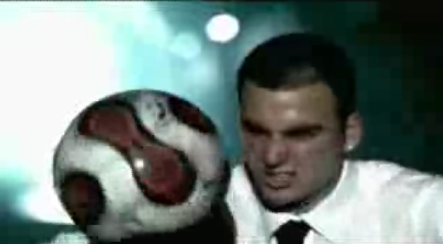 This is one of the best examples of advertisement in videoclips. You’ve might never noticed that the un-edited version (the one you will find on YouTube) is a complete advertisement for bWin ! The MTV version of Lady Gaga has the back of the poker cards edited (in a black color) and the poker table deck is edited too. Even if it’s only one frame, your brain will notice inconsciously the name of bWin. Oh my God ! 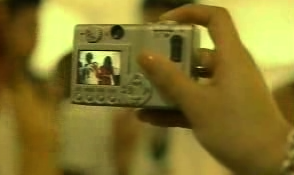 This clip is the finest (nearby subliminal) Nokia ad ever seen. It seems as if the singers were more interested in singing for their callers than for the watchers. A sad trend…. 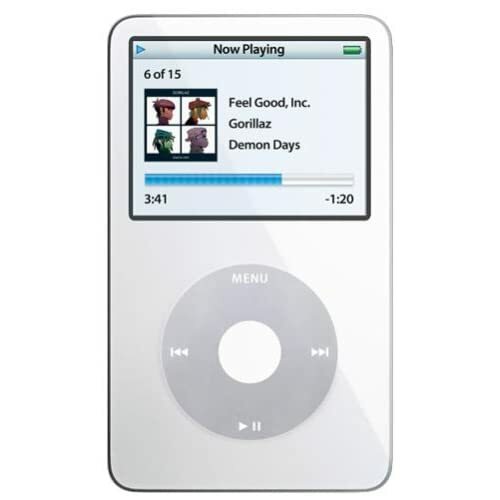 :-) I’ve observed a strange relation between Nicole or P.Diddy and every Bad Boy Records artist and the Nokia brand. Kinda strange isn’t it ? This is the most funny nearby subliminal ad : I’m sure you had to watch the clip several times to see “catch” the frame were the i-Mode Logo is hidden! I-mode had unfortunately no success in Germany. JK loves Adidas and Ferraris and he has no fear to show it in his videoclips. 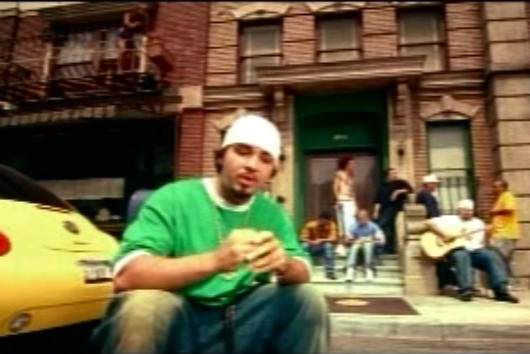 In “Canned Heat”, we had the opportunity to see the Adidas Gazelle introducing the vintage trend in the early 2000’s. 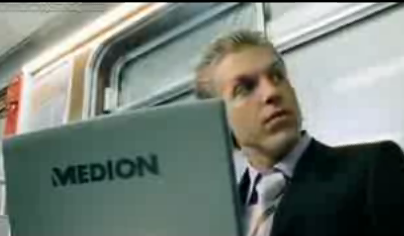 The first red MacBook seen in a video clip. The apparition of this red MacBook lead the Apple fan community to think there will be a Red (like the iPod Nano) collection for upcoming Apple products. 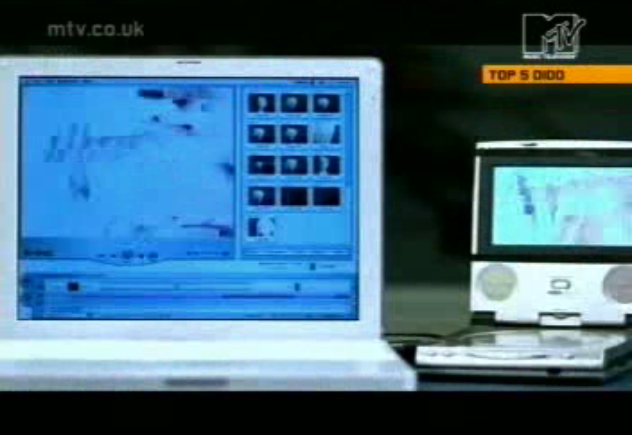 The first apparition of Apple products in a video clip. 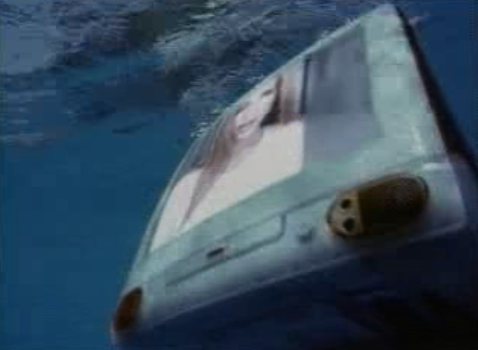 It’s the 2000 model of the iMac being thrown in the water. 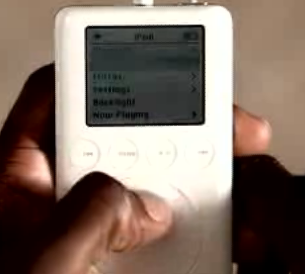 One of the first apparition of Apple’s iPod in a video clip. Very effective because it was placed directly at the beginning ! 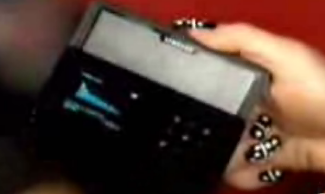 Medion is a German entreprise selling IT devices (GPS, laptops and UMPCs). I don’t know the connection between Sandy and Medion, but in this video it’s obvious that there must be a secret between them ! I must say that I have a real doubt if the Volkswagen Beetle was innocently placed in several cuts. 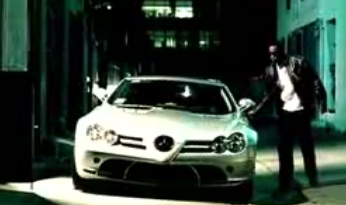 It’s quite unusual to see this car in video clips (apart from the clip “Candy” by Mandy Moore). on YouTube but are on MTV because of the derive of turning a music video into a 4 minute ad. It’s not directly a product placement, but just have a frame to frame analysis of the clip : you will see that the iBook and the software used to create the clip (it’s either an older of Final Cut or iMovie). 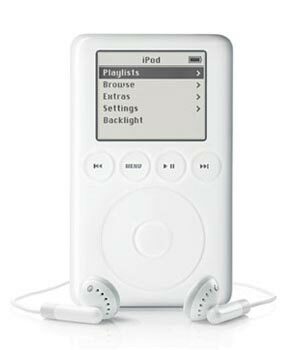 You will also see the white task bar giving us the indication that it’s Mac OS X (I think it’s the 10.2 Version) although the indication “iBook g3” was erased. Miss Samsung again. 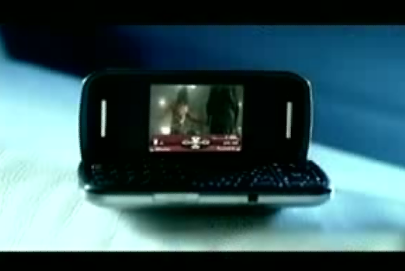 Sorry but like the Bad Boy Record artists, it’s obvious (with a very long frame ) that Fergie and/or Samsung wanted to promote their K5 with this video clip. 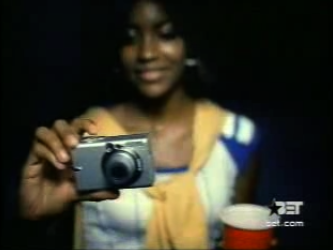 Again our well-know equation : Danity Kane was produced by Bad Boy Records so we need a Nokia mobile phone in the video ! One interesting thing is the fact that there are brands such as Mc Donald’s, Virgin Megastore or even for Asanti Wheels. 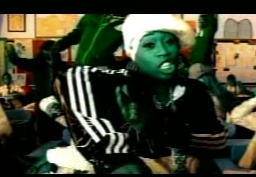 During the whole clip Missy and her dancers are wearing Adidas clothes ! A good product placement for the German brand. Everyone knows that Gwen wears Gucci. Why not combining the Gs ? Too obvious ! To be quite frank I don’t think this can be a well executed placement because on no frame we can see the Canon brand. 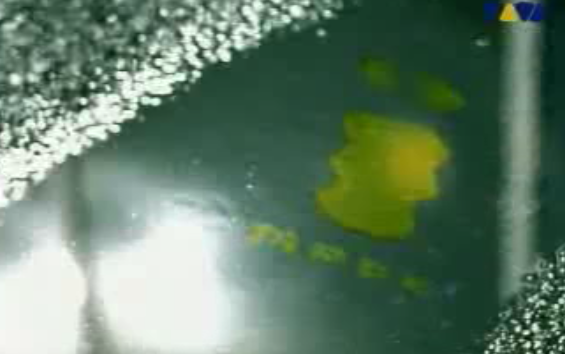 Was it really wanted or was the brand erased at the post-production ? The main question after having seen all these examples is why do the artists need to show these products ? The production costs for a clip are getting higher and higher. Using product placement helps to finance the clip production. 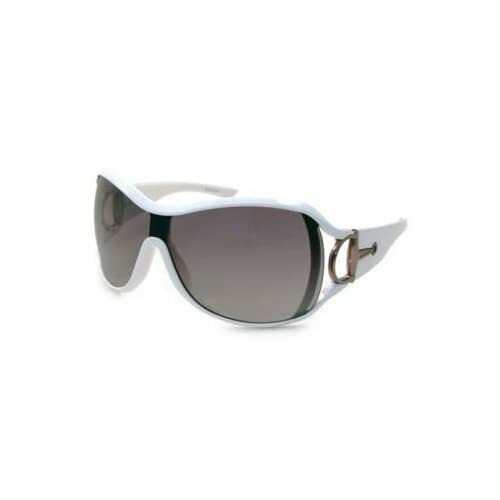 The brands are considered then as a sponsor. This tends to be problematic because some music channels such as Viva or MTV are blurring these products during the diffusion : so artists must find a new way to pay the clip production. Perhaps one way would be to include brand names directly in their songs (oh yes there are a lot of songs including brands : the best example would be “Pass the Courvoisier” or nearly each song of the Wu Tang Clan (they mentioned the shoe brand Clark Wallabee in several songs)). Some artists are getting paid for including product names in their song, other are just integrating them because it sounds cool (like the Corrs in their song “Never loved you anyway :” Valentino, I don’t think so You watching MTV while I lie dreaming in an empty bed”. 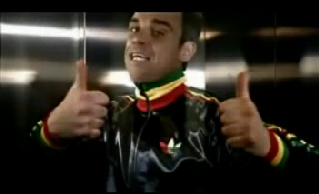 In my opinion the best “commercial song” is Rudebox by Robbie Williams promoting the Adidas classic clothes (even during his concerts !) in the song but also in the clip. This “new” trend is also a problem for the music channels : the clip shows are often sponsored by famous entreprises: showing a clip where a concurrent product is shown might not be accepted. 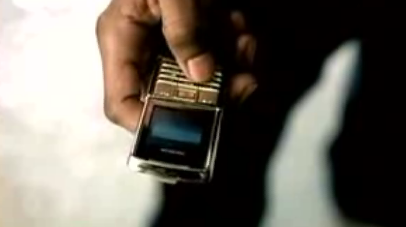 Just imagine : a show on BET sponsored by Nokia couldn’t air Fergie because she is showing a Samsung mobile phone…. Sounds stupid but we all know that business might be very hard perhaps leading to an internal decided censorship by the music channel of some clips that are showing concurrent products. Print article This entry was posted by MatD on November 27, 2010 at 1:22 pm, and is filed under Music. Follow any responses to this post through RSS 2.0. Both comments and pings are currently closed.